A dental crown is a cap used to cover a tooth that needs protection from everyday wear and tear. The cap is tooth-shaped and covers the part of the tooth that is visible above the gum line. 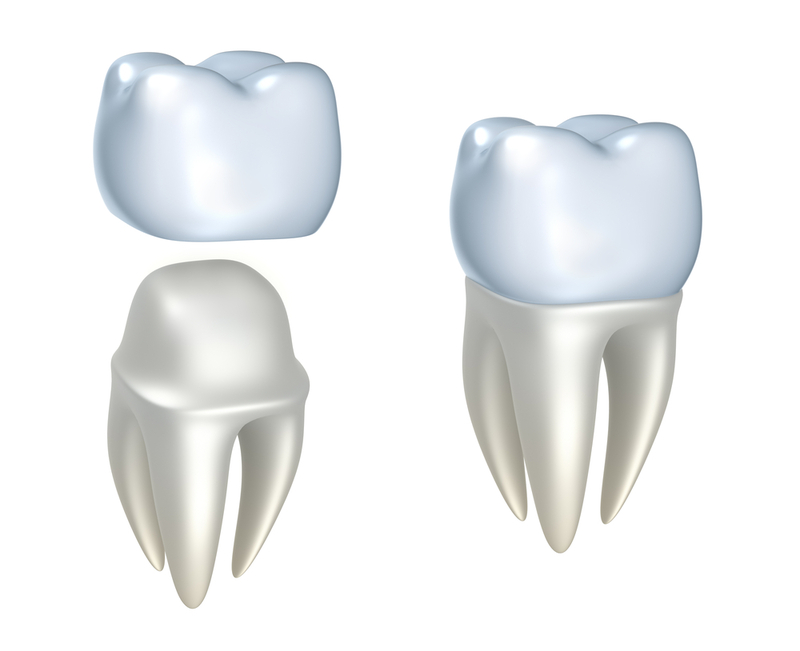 Crowns can be porcelain, ceramic, gold or other metal alloys, or acrylic. Porcelain and ceramic crowns are popular as they can be made to match the look of natural teeth, making the crown indistinguishable from the rest of the teeth, though metal crowns are generally stronger. For these two reasons, porcelain-fused-to-metal crowns are frequently used to offer both dependability and visual appeal. To get a crown inserted, the tooth is first reduced down so the crown can fit over it. After that, a mold is made of the tooth and gums surrounding the area it’ll be in. A lab will use the mold to create a crown that will fit perfectly into the mouth it is intended for. During this time, a temporary crown will be made for the patient. Once the crown is ready, the dentist will insert it permanently with cement. Crowns will last between five and 15 years (but can last much longer). The time it lasts depends on the crown itself and how much weathering the crown sustains through every day use. Keeping up strict dental hygiene habits can help to lengthen the life of your crown. Bad habits such as opening packages with your teeth, biting your nails, and grinding your teeth can severely shorten the life of your crown. Call (407) 905-9888 to speak to one of our knowledgeable staff members to schedule your free, no obligation consultation!